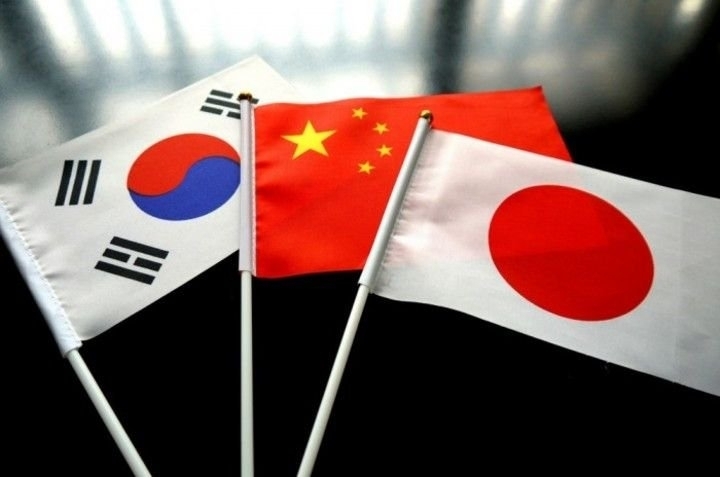 The finance ministers and central bank governors of China, Japan and the Republic of Korea (RoK) stressed on May 4 the need to resist "all forms of protectionism" and agreed to ensure "an open and run-based multilateral trade and investment system." The three Northeast Asian countries met on the sideline of the 51st annual meeting of the Asian Development Bank (ADB) in the Philippine capital to discuss current economic developments and potential risk in financial markets and underlying economic conditions. In a joint statement issued at the end of the trilateral meeting, the finance leaders said they "remain vigilant against downside risks that may threaten the recovery in the global economy." "We noted the risks posed by rising trade protectionism, faster-than-expected tightening in global financial conditions, and uncertainty of geopolitical tensions," the statement read. The top finance officials further stressed the importance of resisting all forms of protectionism, ensuring an open and rule-based multilateral trade and investment system, and strengthening resilience against external shocks, and agree to further enhance communication and coordination among China, Japan and RoK. The ministers also welcomed the Panmunjeom Declaration agreed between the leaders of the RoK and the Democratic People's Republic of Korea (DPRK) on April 27, adding they look forward to further progress in easing geopolitical tension in the region. The trilateral finance ministers and central bank governors' meeting serves as an effective platform for enhanced policy dialogue and coordination. The finance leaders decided to meet again in Nadi, Fiji in May 2019.